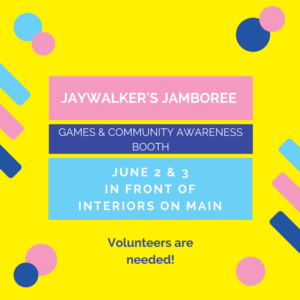 Please let us know if you are able to volunteer any time in the booth at Jaywalker’s! Camrose United Church 6:00 p.m. Sharing: What’s rocking your world? So You Think You Can Drag pulled in many people from the community c. What ideas do we want to try for next year? Please let Camrose Pride Community know if you would be able to assist with any of the upcoming events; we need volunteers for these events to be successful!